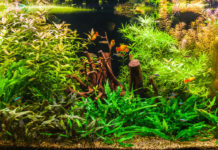 Home Fish Tank Filters Undergravel Filter VS Power Filter – Which Is Better For Your Aquarium? 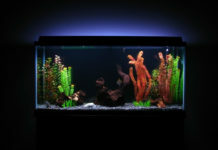 Every filter has its advantages and disadvantages for different types of tanks. If you’re torn between making a choice between an undergravel filter VS a power filter, we’ve explained the pros and cons of both in this article. Undergravel filters have a fairly simple design. Like the name implies, this type of filter is placed underneath the tank’s gravel – which is actually in charge of the whole filtration process. An undergravel filter consists of plates which are connected to tubing. As water is pulled by the actual device, gravel acts as a natural filter, trapping toxins and holding on to beneficial bacteria. The newly-filtered water then passes through the tubing, which carries it upwards and into the aquarium. You might need an air pump for this filter, because it enables constant water circulation. Should I use an undergravel filter? Undergravel filters are perhaps the cheapest types of filters you can find. They’re easy to set up, do a surprisingly solid job and are especially good for smaller fish tanks. 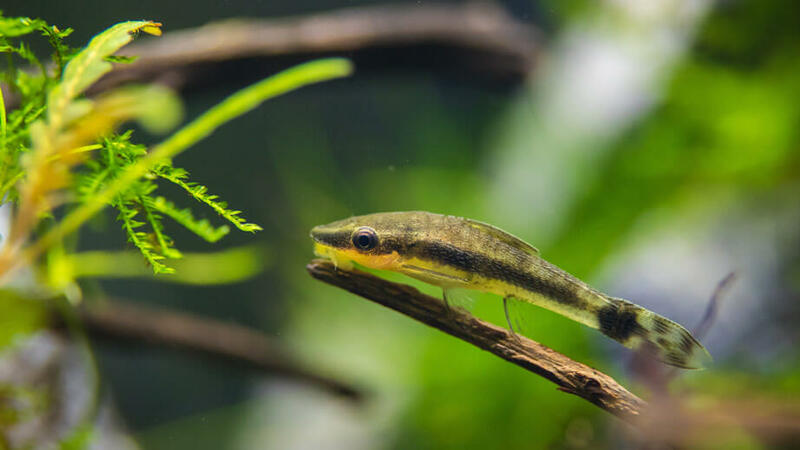 You should definitely use an undergravel filter if your tank is undemanding – whether it’s a breeding tank, a quarantine tank, or just a simple Betta fish tank. When it comes to aesthetics, if you want a filter that won’t ruin the view of your tank or you simply dislike machinery and lots of tubing, an undergravel filter is a pretty subtle choice. However, if you don’t like spending a lot of time on cleaning, know that this sort of filter takes a while to clean – you’ll have to thoroughly vacuum the gravel on a weekly basis, as it’s home to filtered waste. Power filters (also known as Hang-On-Back filters) are probably the most popular filters on the market. They’re more suitable for medium-sized tanks, because they can filter water much faster than undergravel filters. They’re usually installed on the back of your tank, not inside it. A power filter enables water circulation via a pump which brings in the water, diverts it into a filtration chamber, then sends back the clean water into the tank through tubes. They’re usually affordable, easy to install and don’t take up too much space because of their placement. Many power filters also allow you to store all three types of filter media – allowing a much more thorough filtration process. Should I use a power filter? If you own a larger tank, or just a tank that’s heavily stocked, we definitely recommend getting a power filter because of its efficiency – large amounts of water take a while to purify, but this type of filter does a quick and thorough job. Although they’re usually inexpensive, power filters are typically more pricey than undergravel filters, so if money is an issue, this might not be the right choice for you. Unlike undergravel filters, most power filters can’t be submerged, or else they’ll stop working. However, they don’t interfere with your tank’s interior – not only do they save you space, they’re safe for your fish and plants which can’t get sucked in. The only major downside to them is cleaning – they have to be taken apart every few days in order to get rid of buildup and you’ll have to replace the filter media when the time comes. You’re probably still asking yourself: “Should I use an undergravel filter or a power filter?”. 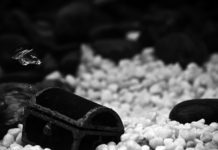 While there is no right answer when choosing between an undergravel filter VS a power filter, base your selection off your tank’s size/design, your budget and personal goals. If you want fast water filtration for larger volumes of water and aren’t financially limited, get a power filter. If your tank is smaller with a much simpler setup or you’re on a budget, an undergravel filter should work just fine. However, when it comes down to filtration efficiency, a power filter does a much better job at 3-stage filtration. An undergravel filter is only really capable of biological filtration. All in all, both types of filters require proper maintenance, so don’t think that you’ll be off the hook with cleaning for either type.